Something that I have been talking about with my girlfriends lately has been the need to simplify our lives. The more that we seem to hold on to, the more disorganized we feel. Everywhere there seems to be more "stuff"... more to keep clean. Last year I heard a quote that I can't seem to shake, "Clutter is your procrastination." This is a personal blog. All editorial content and projects are intellectual property of Create Often with Jennifer Evans. This post is sponsored by Totally-Tiffany. I create what I love and love to share what I create. and all ideas and opinions are my own. I realized it was true as I started to pack up my home last year to move. It was so overwhelming to deal with all the "stuff" I didn't want to let go of. Especially in my craft space. 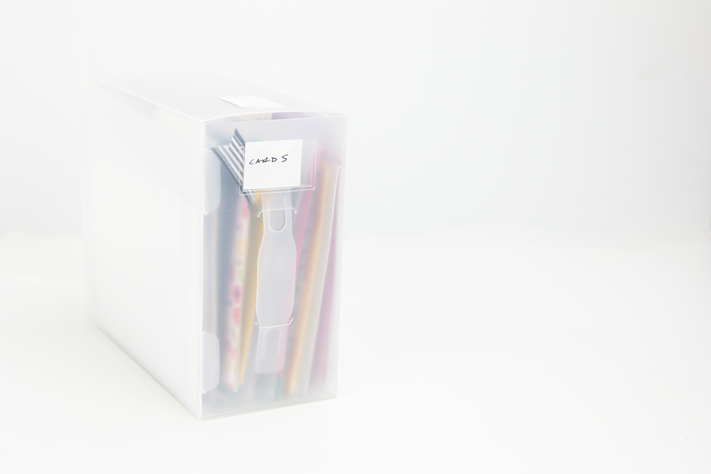 I had projects filled in drawers because I couldn't part or give them away. When I moved I promised myself that I wouldn't let my craft space be filled with clutter like that again. Yet, it has been almost eight months and I can feel the clutter creeping up on me again. I am reminded of the quote... and I realized that I have been procrastinating two things lately. One, all the cards that I was making I was throwing in a drawer and it was piling up. Two, I wasn't sending these cards. They just sat collecting dust. It is so sad that they were being sent. 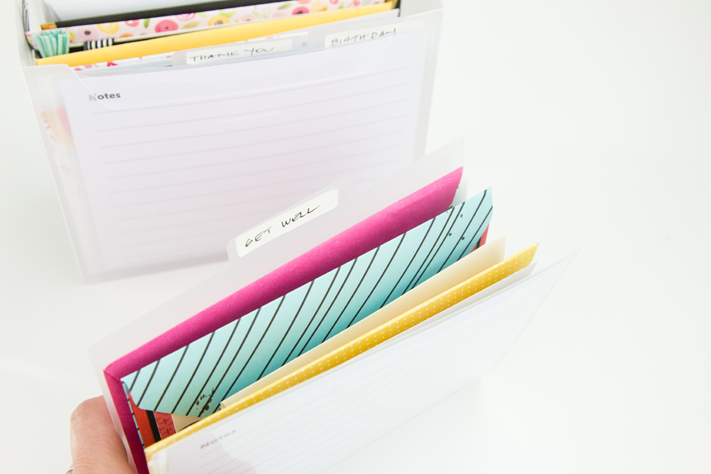 I decided to use the 5x7 Fab File by Totally Tiffany, that is on special this week, to organize that entire drawer of cards so that I could actually use them! Let me show you how! 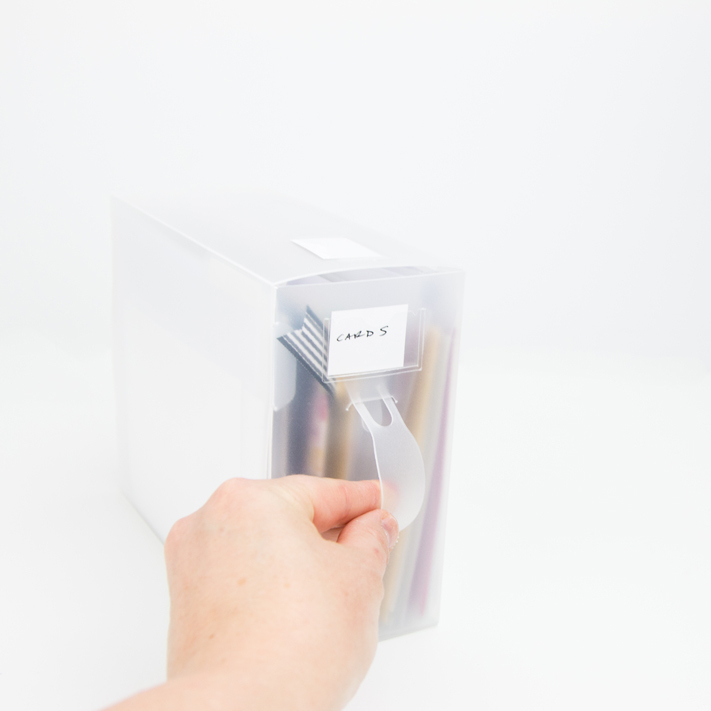 The Fab File comes with dividers along with labels. I sorted my cards so that I knew what themes I wanted them divided into. I did simple ones like get well, birthday, thank you, holiday and everyday. 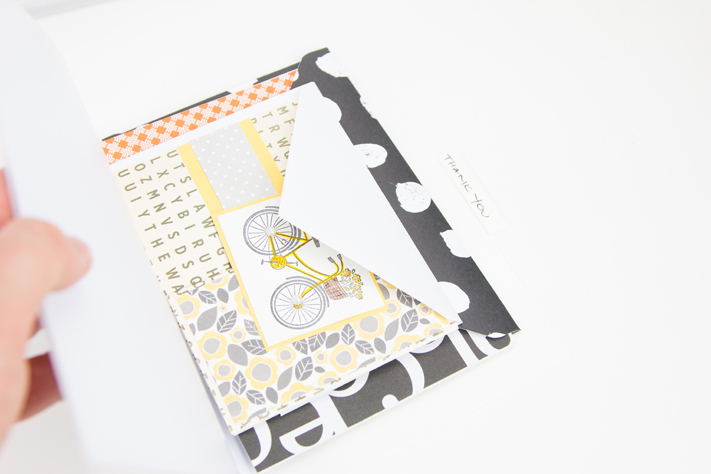 I placed the cards inside the divider making sure they all had envelopes - otherwise I knew that I wouldn't send them. I added ones that I had made and even those empty ones that were given to me as gifts by other cardmakers. 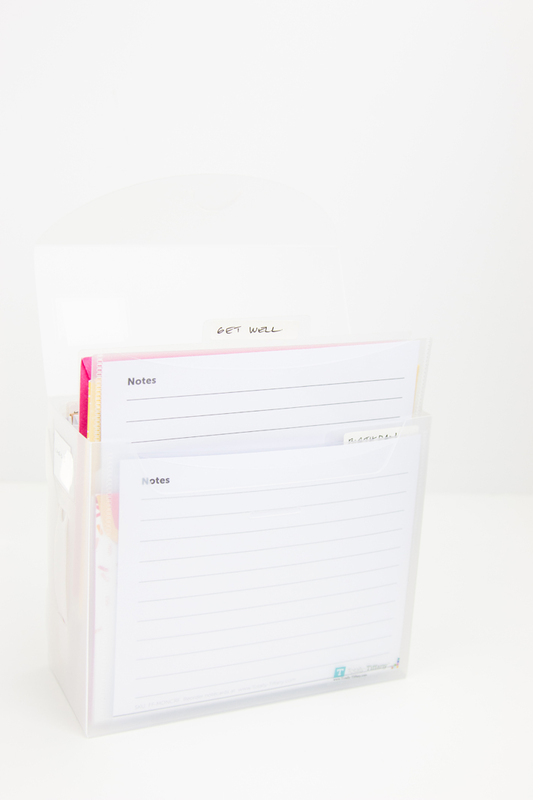 Each divider has a place to add notes. I want to put birthday and anniversary dates there. Other things on other dividers, like the "get well" one, could list recovery dates so that I could remember when to send celebration cards a year later! Any card that didn't fit the themes I had in this file, I placed in a donation pile. I just said good-bye and that was that. I am so happy that I have cleaned that drawer. It gives me piece of mind that I have cleared out a space that was just collecting dust. I know this is just one step to working towards a new lifestyle... but as one of my friends told me, this is just a small step toward a bigger goal. The bigger goal will take time, but the small steps to create a clutter-free lifestyle will get us there. Clutter is your procrastination. If clutter is keeping you from claiming peace in your home, don't get overwhelmed. Start with something small everyday until you can feel at peace with your space again. Love the wisdom you shared at the end of this post. Of course I love your use of our Fab Files too.